Recently moving from a large city to a rural location, one of the first things I missed was reliable Contemporary Christian Music Stations. Before I had the choice of 3 stations! And since our internet is very limited out here, we can’t even stream music! Talk about major withdrawal! 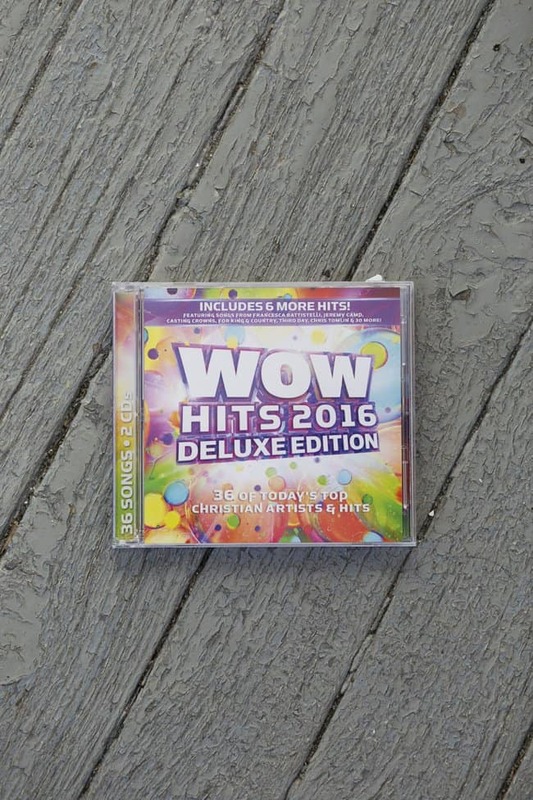 When Family Christian sent the brand new Wow Hits 2016 I was so excited. Basically the best of Christian radio, finally accessible to me! The cd definitely does not disappoint. It’s been on repeat in our home and van since it arrived. The children and I spent a lot of time in the van in the last month. Usually I spend a lot of time scanning the radio stations for a Christian station as we drive long distances. I prefer to listen to Christian music, especially in the car with my children since I can concentrate on the drive and not worry about quickly changing stations when questionable lyrics come on. These latest trips we enjoyed singing along to our new cd rather than searching the radio constantly. Not only zero scanning, but also no talking! It’s so nice to just sing and sing, without pause for commercials and conversations. Often, when I can’t find a good Christian station the children beg for their children’s cds. I have to admit how nice it was to enjoy Wow Hits 2016 instead. While I really love hearing the children signing their favorite Bible School songs (over and over and over) it was a refreshing change to love the music as much as the children as we listen to our new cd. I chose the Deluxe edition- because more songs, of course! That means 2 discs with 36 songs to enjoy. The majority of the songs are very upbeat. I find myself dancing in the driver’s seat as I sing. I can’t even begin to list our favorite songs or artists, because I would just have to copy the entire playlist right here. If you’ve heard it and loved it on the radio this year, it’s probably on the cd! My children and I give this cd 2 thumbs up! Grab your copy of Wow Hits 2016 today!